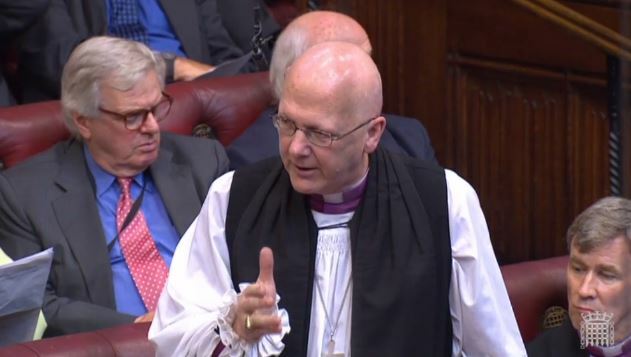 The Lord Bishop of St Albans: To ask Her Majesty’s Government what steps they are taking to protect those at risk of gambling-related harm. The Parliamentary Under-Secretary of State, Department for Culture, Media and Sport (Lord Ashton of Hyde) (Con): My Lords, the Government are committed to ensuring that people are protected from being harmed or exploited by gambling and that those who require treatment receive it. The industry is required to contribute towards research, education and treatment programmes to prevent gambling harm. The majority of provision for treatment is through responsible gambling trusts and the funding of organisations such as GamCare, which provides helpline and counselling services. Local treatment can also be found through GPs and NHS clinics. The Lord Bishop of St Albans: I thank the Minister for his Answer. Gambling-related harm is not restricted to people with problem gambling—it affects family, it affects friends, it affects even people who work in gambling shops. I recently put in a freedom of information request to the Metropolitan Police which revealed that since 2010 there has been a 68% rise in violent crime associated with betting shops across the capital. In the light of that, will the Minister tell the House what assessment the Government have made of the link between this rapid rise in violent crime associated with betting shops and the increase in the number of fixed-odds betting terminals in those shops? Lord Ashton of Hyde: Any rise in crime figures is of course concerning, and Ministers and the Gambling Commission will look at those figures closely. One of the three licensing objectives that all operators must comply with is to prevent gambling being a source of crime. On the right reverend Prelate’s specific question about the link between fixed-odds betting terminals and the rise in crime, I hesitate at the moment to draw a causal link between them in the absence of evidence on the specific means of betting. However, this is exactly the sort of evidence that should be provided to the forthcoming triennial review. Lord Rooker (Lab): We should resist the pressures from the gambling lobby, because this is an incredibly serious issue. However, I want to deviate from the Question slightly to ask the Minister: what counselling help is available for someone who gambles a country for a political party and loses? Lord Ashton of Hyde: The Gambling Commission will take a close interest in things like that, I am sure. Lord Collins of Highbury (Lab): My Lords, one mechanism that the Government have in place to try to offer some sort of control over what goes on in the high street is the triennial review of betting limits. A number of noble Lords, including me, have asked the Government what has happened to the review, since it was due over 18 months ago and could possibly take another 12 months. Do the Government intend to publish or undertake the review soon? Or perhaps they intend to rename it. I think we are too late to call it quadrennial, but perhaps it could be sexennial. Lord Ashton of Hyde: My Lords, perhaps I ought to point out to the noble Lord the position on the triennial review. The Gambling Act was introduced by the Labour Government in 2005 and in the following five years no triennial review was held by the Labour Government. The coalition Government held a triennial review in 2013, and the Conservative Government will hold a triennial review in 2016. Lord Foster of Bath (LD): My Lords, fixed-odds betting terminals blight lives, lead to crime and damage local economies. As far back as 2005, the current Prime Minister expressed her deep concern about the harm that fixed-odds betting terminals had caused, and yet so far the Government have taken no action. As we have heard, the triennial review is already way behind schedule. Can the Minister say, in particular, when the Government will respond to the appeal by Newham Council and 93 other councils which want to be able to reduce the stake on FOBTs? That response from the Government was due by the summer but we still have not had it. When will we receive it? Lord Ashton of Hyde: My Lords, I do not know if the noble Lord was listening to what I said before. The last triennial review was held in 2013 and the next one will be held in 2016. As regards Newham Council’s application under the Sustainable Communities Act, it is true that the second response—we have responded once—was due in July, so it is some months overdue. The best place to review the evidence in that appeal, which was about reducing the stakes on FOBTs—I accept that problems can be caused by those; I do not doubt that—will be in the forthcoming triennial review, which will call for evidence on these subjects. The Lord Privy Seal (Baroness Evans of Bowes Park) (Con): It is the turn of the Conservative side, I am afraid. Lord Smith of Hindhead: My Lords, I declare my interests as set out in the register and as an occasional and responsible gambler. We know that about 70% of the UK’s population regularly plays the National Lottery and buys scratchcards, and the recent GamCare report revealed that some people have a particular problem with these products. Putting aside the fact that it profits good causes, can the Minister tell the House what procedures might be in place to assist people who have an addiction to this type of gambling, particularly bearing in mind that it is open to those who are 16 years of age and older? Lord Ashton of Hyde: My noble friend is right that FOBTs, although a particular subject of interest, are not the only form of gambling. The point is that addiction to gambling, whatever the source, is a serious problem which must be addressed. At the moment, there is a sort of tripartite arrangement. The Gambling Commission is the Government’s statutory adviser, and its adviser is the Responsible Gambling Strategy Board. It advises and takes evidence on and researches into this problem. Of course, the industry is required to provide money for education and research, which it does to the tune of about £7 million a year.